Top quality bulbs, all the bulbs grew. Easy to follow planting instructions. Dense, fragrant spikes of cobalt-blue flowers. Superb when planted en masse and allowed to self-sow freely. Heirloom, 1877. Muscari, commonly known as Grape Hyacinth, are high on the list of accommodating, simple-to-grow, durable bulbs. 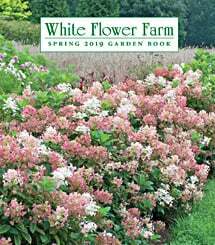 Inexpensive and fast to spread, they're a perfect choice to create a carpet of soft blue beneath yellow or white Daffodils or early pink Tulips. Because Muscari are so often grown en masse and their flowers are small, it's easy to miss how beautiful and intricate they are. Not even the cleverest jeweler in Faberge's workshop could create such delicate clusters of luminous blue or violet beads. Muscari thrive in full sun or deciduous shade, tolerate practically any soil, and seem to live forever. They are ideal as companions for taller bulbs or flowering shrubs, and look marvelous set out in loose sweeps all by themselves. Easy to force. In the fall, we sometimes receive calls from customers who have noticed that their Grape Hyacinths are sending up leaves. This growth is normal and is actually convenient for the gardener, since it marks the place to scatter a bit of bulb fertilizer. For more information on the growing and care of Muscari, click Growing Guide. I forgot how much I love grape hyacinths. These were a perfect bright pop of color in the spring garden. They were very large for this type of hyacinth. A little taller than the ones of my childhood. Long blooming. I'll be planting more. I think I like them best in bunches. beautiful blossoms, bees loved them! In the Deep South; we plant these bulbs in pots for early Spring bloom. The climate dictates that we treat them as an annual. The color makes this more than worthwhile! Stunning display when intersperced with Narcissus. Grape Hyacinths (Muscari) are easy to grow in well-drained soil. If left undisturbed, the blue-flowered varieties multiply rapidly. Bulbs often send up grasslike leaves in fall. This growth is normal and should not be cut or mowed off until browned by frost. Great for forcing. It is not unusual during storage for blue-green penicillin mold to grow on the surface of Muscari bulbs. The mold does no harm, and it dies as soon as you plant the bulb. If the bulb is firm, you can plant with confidence. Space them 2–3″ apart and 2–3″ deep.